Dream about spiders | Welcome to Dreams.com! Dream: I had a dream about a blue spider crawling in my bed. DreamsMaster: There are three symbols to consider in this dream. Let’s look at each individually, then pull together a theme. ⇒ Spider: Since spiders are generally associated with webs, dreaming about a spider often represents a sense of being “caught in a web” or feeling trapped or manipulated. On the other hand, a spider is also often associated with creativity and femininity. 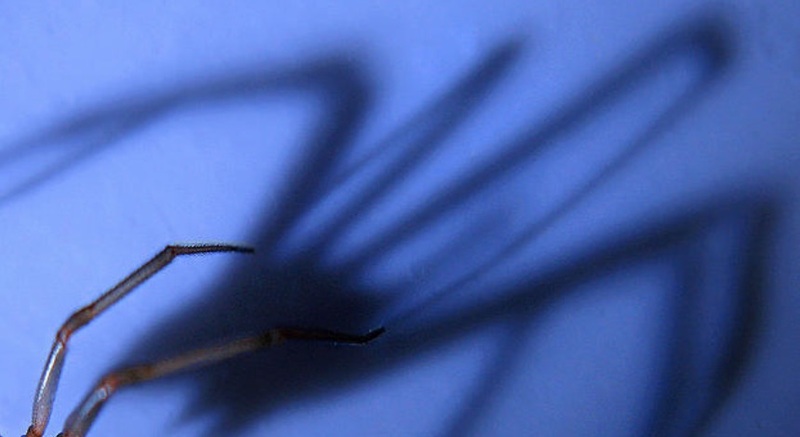 Many people have an instinctive fear of spiders. Do you? Did the image of the spider in your dream evoke a sense of fear and panic, or did you feel something else as you watched it crawl in your bed? ⇒ Blue: It’s significant that you distinctly remember the spider being the color blue. Although it’s believed that most dreams are in color, we only tend to remember a color if it particularly stands out to us. If you’re familiar with spiders and know that some are blue, then for you a blue spider may represent the qualities you know those blue spiders to have (for example, some blue spiders are poisonous). On the other hand, if you are not familiar with different types of spiders, then the color blue would be more symbolic. Generally speaking, the color blue often symbolizes peace and tranquility, as well as freedom and inspiration. Blue is also the color of the throat chakra, which represents communication and creativity. If you were to see a blue spider in the waking world, would you find it fearful or beautiful? Seeing a fearful creature crawling in your bed would have much different meaning from seeing a beautiful or awesome creature crawling in your bed. For example, if you find this blue spider to be fascinating and intriguing, it could mean that your creative side will soon spin a fantastic masterpiece. ⇒ Bed: A bed is a place where we rest and rejuvenate, and also a place where we dream (both literally and metaphorically). A bed is frequently associated with relationships and intimacy as well. – Have you been experiencing creative urges? If so, the dream may be confirming that now is the time to engage your creative energy. – Are you in relationship with someone you suspect may be toxic or manipulative? Perhaps you hadn’t considered this yet, but the dream may be your intuition sending you a warning. Think of what was on your mind the night you had the dream, and see if you can connect it to any of these ideas. Also, think about the feeling you had in the dream, and try to associate it with that feeling in your waking world. A connection between the two will come to you, if it hasn’t already.